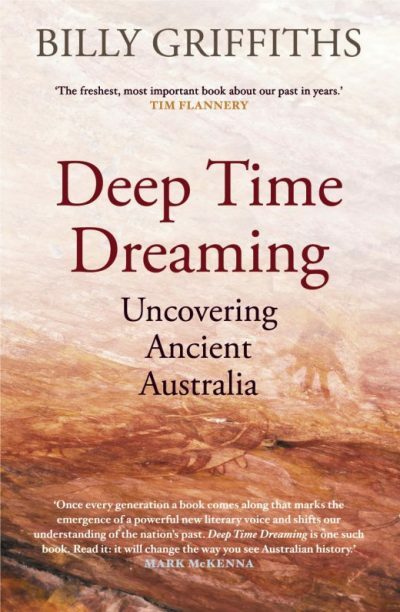 Billy Griffiths’ Deep Time Dreaming: Uncovering Ancient Australia (Black Inc.) has won the John Mulvaney Book Award, which recognises significant contributions to the publication of Australian archaeology. Deep Time Dreaming, which was shortlisted for a Queensland Literary Award earlier this year, investigates Griffiths’ journey towards understanding ‘the reassertion of Aboriginal identity in the second half of the twentieth century, and the uncovering of the traces of ancient Australia’. Established in 2004, the annual award honours the ‘father of Australian archaeology’ John Mulvaney and recognises academic and public interest archaeology books. The award was presented on 1 December at the joint conference of the Australian Archaeological Association and New Zealand Archaeological Association held in Auckland.